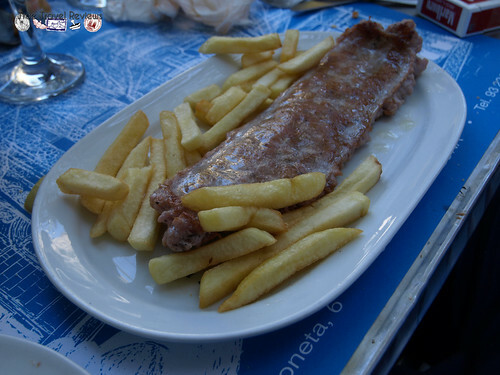 Can Ganessa is a small restaurant located near the beach, but tucked away in a little plaza off of Passeig de Borbo. At first glance, it doesn’t really appear to be anything special, but it has a wide assortment of tapas as well as seafood. The place is very casual and you have the option of eating out on the terrace, which is well worth the upcharge. 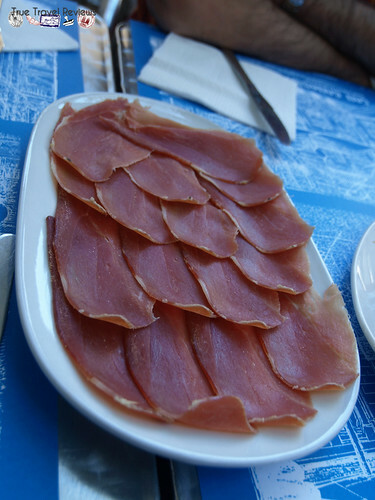 In fact, it’s worth the upcharge at just about any Barcelona restaurant. The weather was always excellent for dining outside. We all sort of went our separate ways at this restaurant. My husband got the menu of the day, which included paella. He can’t pass up paella. My sister in law and brother in law got a giant plate of seafood, all that needed cracked and what have you. I went with tapas. We hadn’t really had a chance to get many tapas and I probably spent 30 euros on them, but it was well worth it. 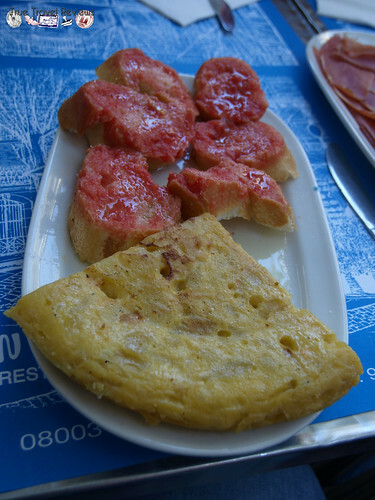 I got a potato omelet, bread with tomato and garlic smeared on it (like a bruschetta), a plate of Spanish ham, croquettas (I love these! ), and butter shrimp. 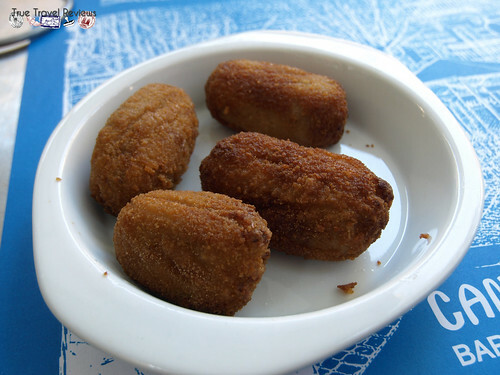 I may have even ordered more croquettas (I was supposed to be sharing them with our son, but he was passed out and they were just too good). 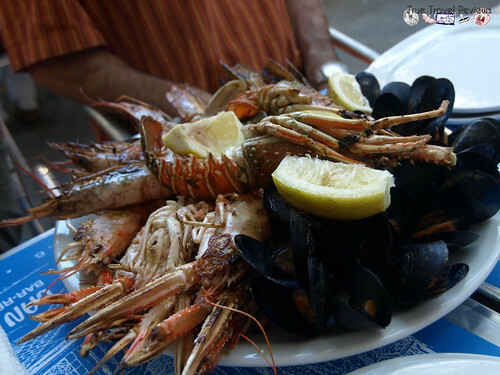 For being near the beach, Can Ganessa offers excellent dining for a reasonable price. Most of the people here are going to be locals and while we were there, people were just hanging out in the plaza talking to each other, playing music and just enjoying themselves. The weather was excellent and the experience was all around enjoyable. One note to make however is that the restrooms are far from nice or clean. In fact, I believe that there was one sink between the men’s and women’s stalls. However, I found this to be the case in many of the older areas of Barcelona, so don’t let it bother you. Just be prepared. The more contemporary restaurants had much nicer facilities, but overall bathrooms aren’t really that important and they’re always very small. They are more concerned about the food than impressing you with the restrooms and it seems to be the opposite in some places in the US. Enough about the restrooms, look at all of this delicious food we had!